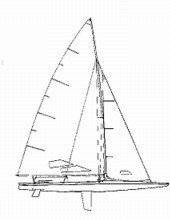 Portsmouth Fleet is the eclectic fleet at the Indianapolis Sailing Club, for Multi-hulls and Monohulls that don’t quite fit the mold of the other one-design fleets in the club. We do race with the other fleets using the “Portsmouth Yardstick” time adjustment factor of each boat, but we encourage members to come out and sail just for the fun of it anytime. Click on Fleet Rules on the left to see the Portsmouth numbers for most of the boats seen around our club. The lower the number, the faster the boat. Many of our Associate members are experienced with sailing cats or other diverse boats, and are ready to crew or to help new boat-owners learn the ropes. Our strength stems from our diversity and willingness to provide support and camaraderie both on and off the water. The Portsmouth fleet races under the D-PN symbol at ISC. 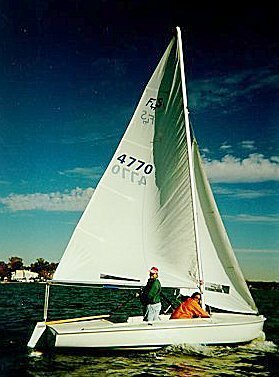 Over the years, the Portsmouth Fleet has provided the avenue for members to form new active racing fleets. 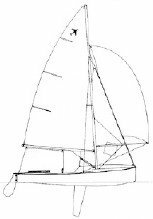 The Highlander Fleet in 1967, the Interlake Fleet in 1973, the Laser Fleet in 1974, the Keelboat Fleet in 2005 and the Melges 17 Fleet in 2011 all established themselves from the Portsmouth Fleet. 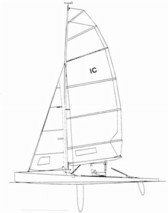 The MC Scow is our newest up & coming fleet which is popular for single-handed racing throughout the midwest. Casual events attract those who wish to enjoy the water, sun, boats, and facilities in a less formal manner. ISC’s “Hobie Beach” has plenty of sand and picnic tables where you can pull up for a relaxing afternoon on the point. Regardless of your interests, the major emphasis of our fleet is to share the fun and adventure of sailing, while being fully involved in all club activities. We’ll see you at the Club and on the water!